When you have a baby and toddler at home, feeding your family and yourself can be a daunting task. Here are a few tips for feeding a baby and toddler, tears-free! Disclosure: I don’t have it all figured out when it comes to feeding my family. While I’m often sharing what my toddlers eat in a day [i.e. what the whole family eats], truth be told we eat out 2-3x a week because I’m just spent. I’m tired. Being at home with 3 kids the majority of my days is exhausting. I do my best to prep healthy foods every week, but sometimes I’d rather get a workout in or take a nap when the kids nap than make a homemade meal. But on the days I’m feeling like my old self, I have found a few things that work when it comes to feeding a baby and toddler, the hardest limitation being time. Oh and only one of me. Because it never fails, the baby will want to nurse [or have a bottle] when the toddlers want their sandwich cut into 5 different shapes. Have a variety of hand-held, fresh foods ready to eat. Whether that means you spend extra time each week prepping some produce OR purchasing ready-to-eat produce at the grocery store, this tip is key for ensuring my crew is eating healthy, fresh foods. A snap-shot of my weekly produce prep. The baby can wait. I know this one seems harsh, but sometimes I let Lily fuss and take a few extra minutes to plate the boys’ lunch or dinner. While the boys have never told me they need more attention, I hope they notice that Mom cares about them too and puts their needs first. Or I give Lily a piece of celery to chew on while I get the boys their dinners! One meal for the family, including baby! This tip really comes into play when the baby has started solid foods. You might recall I started Lily on some purees and some finger foods when she started solids. That made life easier giving the entire family shredded chicken sandwiches [Lily eating pieces of shredded chicken— NOT picking up an entire sandwich]. Another look at how Mom plates her meal, the boys, and Lily’s! It doesn’t always look this pretty… believe me! PLAN. Plan. Plan. And stick the basics. I might have the best intentions of being the next Julia Childs, but until everyone is in school and I have a few hours to myself each day, I’m sticking to the basics, and planning meals around some of my favorite no-recipe meals. Basics: I.e. Grilled Cheese. A certain favorite in this house! Give in once and awhile. This is for the toddlers. Lily is SO distracted while nursing. So I’ve had to find ways to keep the boys occupied while I let her nurse. Ways = Paw Patrol, Dinosaur Train, Sing, Pets, etc. You get it. I use the TV every now and then… or really once a day after her morning nap! Let’s chat: What have you found works when it comes to feeding the littlest mouths in your house? Meal prep? Carry-out? A little of everything?! Even though it’s just 3 in our household (me, my husband, and our 13 month old! ), I completely agree with the one meal for the whole family. More often than not, she eats what we eat, although somewhat modified. Question for you!! Do you think it is normal for a 23 month old to be very loud and growl at dinner tine?? Im hoping it’s a phase but my little Valerie has become very demanding and impatient (& loud) at mealtime… she shovels everything into her mouth so fast and acts like food is going to disappear! Is she verbal otherwise? Is she laughing when she grunts? Asking for more food? Just curious if it’s more for attention and a reaction…. Sorry I meant 13 month old, not 23! She only knows a few words. I think she does it because she is impatient? I’m not sure… she knows how to sign for more (clapping) but will screech simultaneously. . Fingers crossed that it’s a phase. It always seems worse around food. Hah, hanger issues I guess!! So true. The hanger of a toddler is for real!! Does she do it at every meal? Does she want more food? My baby is just about the same age as Miss Lily. He loves eating solid, but I still want to make sure he’s getting plenty of milk. How do you like to fit both solids and breastfeeding in? Alternate throughout the day? Some of both at the same meal? Sorry for the delay Kat! Yes. I always offer milk first then food about 20 mins later. She’s completely weaned herself now. Are you getting the hang of it? I love this and just posted about similar tips! It doesn’t need to be complicated- just simple with the basics! It’s crucial that your child is consuming the essential nutrients he or she needs for physical, emotional, and mental development. 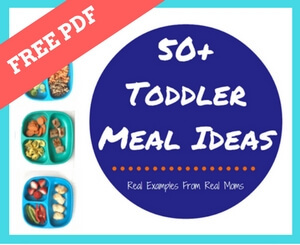 Get advice on how to get toddlers fussy eaters to eat nutrient dense food. Nestlé Ceregrow™ is a nutrient dense cereal packed with nourishment of multigrain cereal, goodness of milk, assortment of fruits along with age appropriate 15 vitamins & minerals.